Don’t believe this propaganda! They are only trying to confuse you and hide the truth about the plague by spreading false information against the Republic. Republic Containment Officers are working tirelessly to contain the plague and root out the true cause. All the evidence currently points to employees of the Empire science division. And please do not sell any Rakghoul DNA to Jeelvic the Jawa. He is not licensed to handle biochemical materials such as this and we fear he may be collecting these samples for malicious purposes. Just like a REPUBLIC PROPAGANDIST to try to blame this plague on the Empire, and simultaneously ruin the reputation and livelihood of a small businessman like Jeelvic. The last time I spoke to the Jawa, he implored me to “buy more!” And I plan to do just that. The Republic only wants to contain and then destroy the plague. The Empire wants to use it to their advantage. The Empire has been known to use entire planets for their lab experiments. This blatant disregard for life must not continue. The Republic adamantly supports small businesses, however we cannot condone trading of hazardous materials, especially when those materials are being traded to someone who has not been trained to handle such materials and whose ultimate intent with those materials is uncertain. We have also just been informed that Jeelvic is handing out infant Rakghouls in exchange for DNA samples. This must stop immediately. Has anyone stopped to think what will happen when these tiny creatures mature? Yea. They’ll be great in Hutt fighting pits. The Republic doesn’t seem very serious about containing or eradicating the plague from the Holo messages we’ve intercepted. 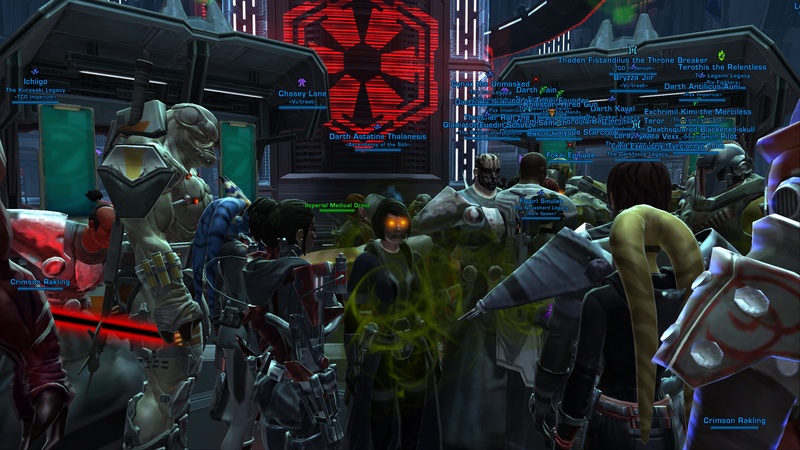 The Empire reminds us of our patriotic duty to gun down any plague carriers — even if they happen to be loved ones– while the Republic seems to just be hand-wringing and stirring up the public’s hysteria if you ask me. The Republic recently intercepted an Empire audio feed in which this propaganda spreading Anexxia is continuing to disseminate lies about the virus. She touts the words of Dr. Brashart as if they are the absolute truth. 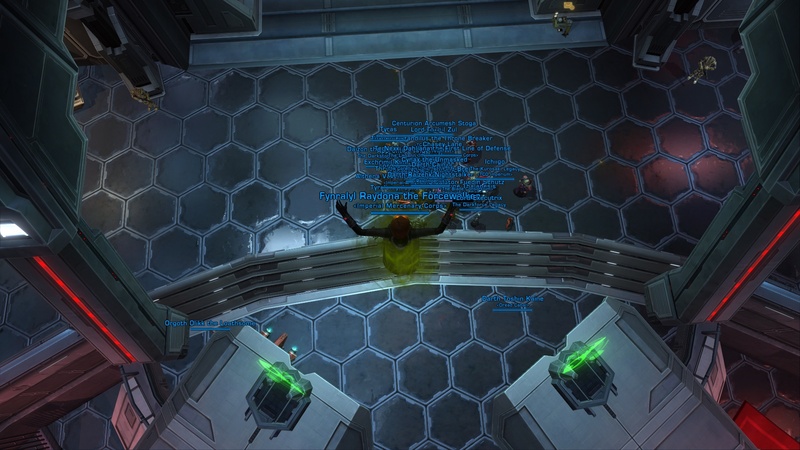 However, as you can clearly see, the Republic has been successful in putting an end to the Rakghoul outbreak no thanks to repeated attempts by the Empire, Sith, and other unscrupulous characters (we’re watching you Jeelvic) to use the virus to their own ends. While it is a good idea to listen to these audio feeds in order to understand how they try to deceive you, do not fall for their lynx-like trickery!